Wee: Will DAP ask its rep to quit over 'MBA from Hawaii uni'? 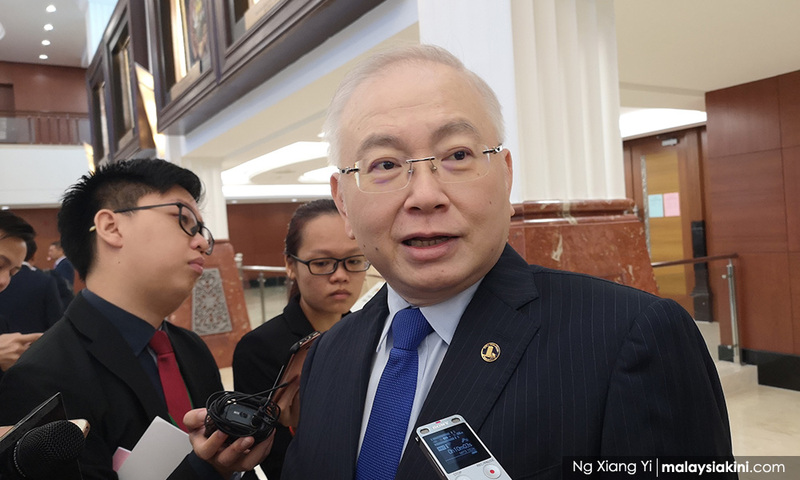 MCA president Wee Ka Siong has questioned DAP's stand regarding one of its assemblypersons who acquired an MBA from a suspected degree mill in the United States. “While several quarters call for Deputy Foreign Minister Marzuki Yahya's resignation, let them be reminded that DAP's own (Tronoh assemblyperson) Paul Yong's MBA came from Akamai University, which was also dubbed a dubious ‘university’ suspected to be a degree mill,” he added. Wee pointed out that it was DAP veteran Lim Kit Siang who labelled Akamai University in Hawaii a degree mill in Parliament back in 2005. Furthermore, he said, the National Accreditation Board had then described Akamai as “another dubious university being investigated by the authorities”. “Would Lim and his party hold Yong to the same standards Marzuki and other politicians have been put on and ask for his resignation? “Can we expect Yong to be replaced as well as others in the event that they too are discovered to be holding dubious academic qualifications?” he asked. Contacted by Malaysiakini, Yong criticised the MCA president for running out of issues to talk about. “The certificate or degree is not related to politics. What is wrong if I upgrade myself and study? “I never used this for political mileage,” he added, conceding that he had taken a distance learning programme from Akamai. Meanwhile, Wee also censured DAP MP Ong Kian Ming for allegedly attempting to downplay the controversy surrounding Marzuki's academic credentials. He zeroed in on Ong's remark that a degree is not required to be an effective politician. “However, he (Ong) himself had taken former premier Najib Abdul Razak to task for appointing two ministers with 'dodgy' degrees from alleged degree mills,” he added.